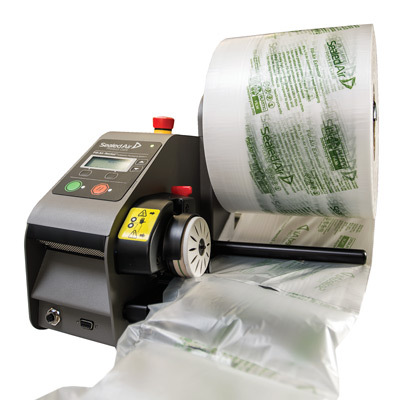 Created by protective packaging experts, the Fill Air Rocket is an on demand machine that produces inflatable void fill cushions at an unrivalled speed of 30 metres of cushion per minute. 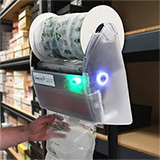 Thanks to the inbuilt auto-replenishment sensor the inflatable solution is also able to maintain a consistent supply of material giving you the autonomy to complete other tasks as it works. So for demanding environments looking to increase productivity and improve efficiency, this ready-made solution is everything you need! 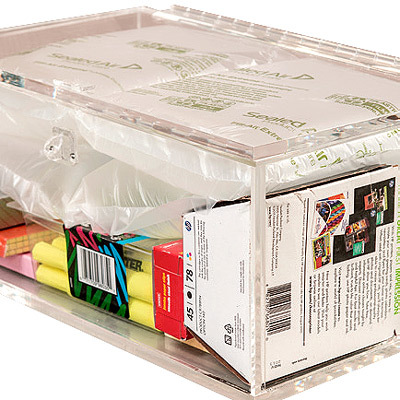 Request a demonstration today and get your packing operations better equipped! 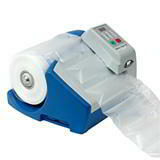 This fast producing, easy to install and compact on space is perfect for a modern dispatching business. 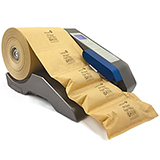 Designed with the intention of reducing transit damage you can be rest assured that this product will not only suit your void fulfilment needs, but will help provide an all-round experience for your operators and customers. Once set up the machine wastes no time in getting started supplying you with a consistent flow of void fill ready to be used when needed. 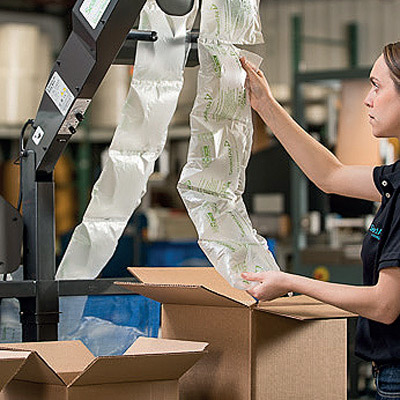 This smart technology can inflate the cushions up with different levels of air, meaning you can adjust the amount of air you want in the cushions, giving you full control to decide how much void fill is needed to support a parcel. This machine is a monthly rental only. For more information for Terms and Conditions please contact us. With 700m on a roll you get more for your money! 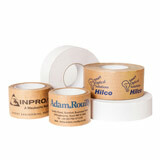 Get your business logo on kraft tape with our customised kraft tape range. Reasonable MOQ's apply.